The museum’s stone building was built by the Wood Family. United Empire Loyalists, Jonas and Sarah Wood, arrived at the future site of Cornwall in 1784. Here, along with hundreds of other Tory refugees, they drew lots for their new homesteads, replacing the property they lost in the former 13 Colonies. In 1806, son, William Wood, with his wife, Sarah Dixon, purchased 200 acres just west of Cornwall, facing the St. Lawrence River and bordering the river road. There, they first built an inn, then, around 1840, constructed the present house from stone that was either from the Cornwall Canal, or meant for a British fort that was never built. Three generations of the Wood family lived in the house until 1952 when Walter Wood, a bachelor, died. Several years later, it became Cornwall and the United Counties’ first museum. A wealth of information about the Wood family and other pioneers are housed within the museum. We invite you to come and see the unique beauty of this building. Each step you take will echo those taken by the many who lived in or visited this significant site. 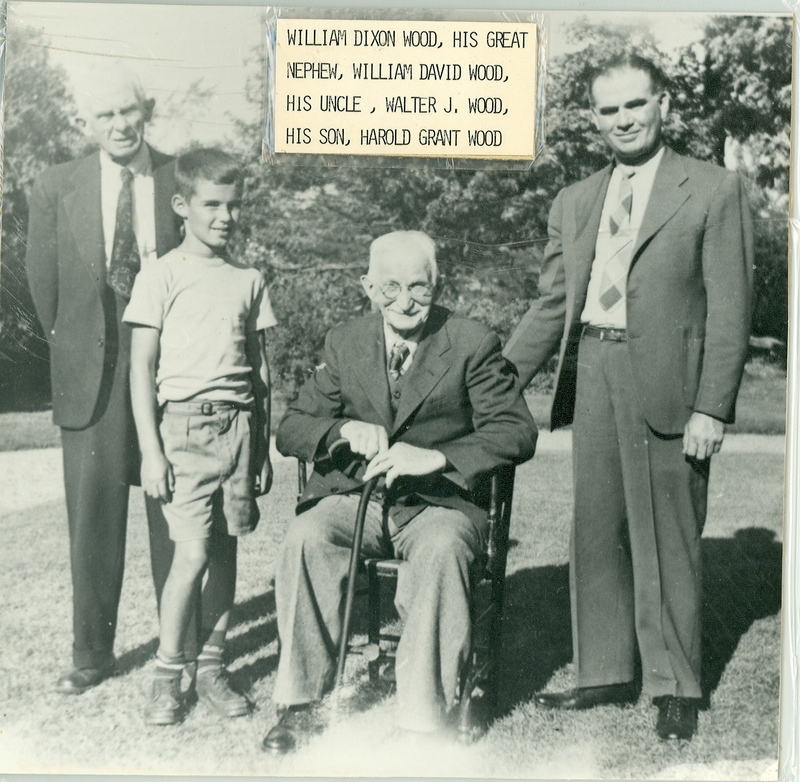 Photo ( L-R): Willam Dixon Wood (1872 – 1931), his great nephew William David Wood, his uncle Walter J. Wood, and his son Harold Grant Wood. Over the past centuries Cornwall has experienced a plethora of changes, yet many do not know or remember the people and events that have shaped our present community. For example, one of our main streets, Pitt Street, is not named after a misspelled hole in the ground, but after William Pitt, who became the Prime Minister of Great Britain in 1784. Over the centuries, Pitt Street has been ravaged by explosions, earthquakes, and at least a dozen fires (the most recent in 2010 when Truffles Restaurant, on the corner of Pitt and Second, went up in flames). 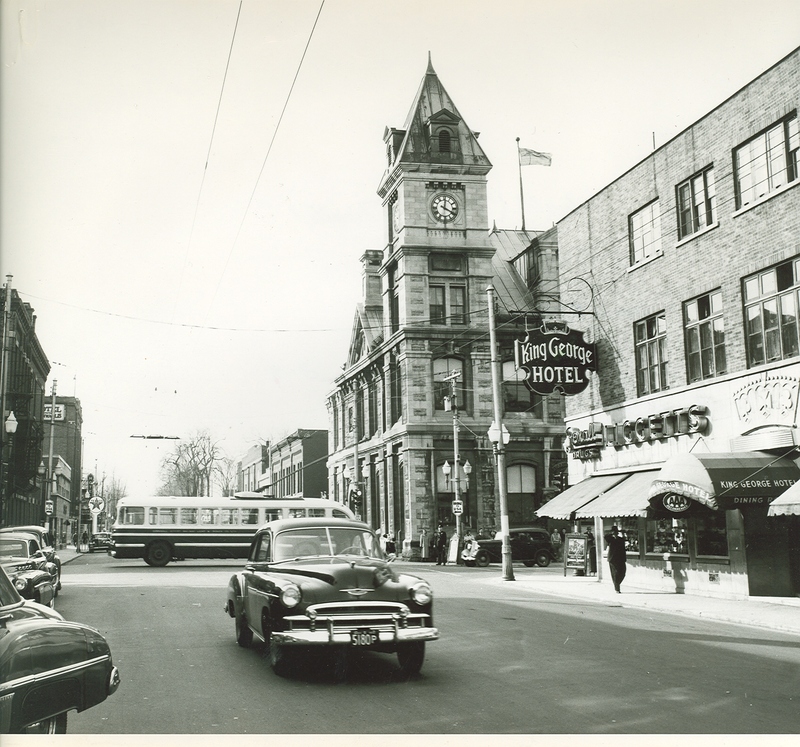 Through the museum’s comprehensive photographic collection, visitors can track the resulting changes, witnessing how and when Cornwall’s main street became what it is today. Circuses starring elephants were very popular in the 19th century. When one came to Cornwall in 1878, A.P. Macdonald, a future lawyer, raised funds to see if it were possible for one of these elephants to swim in the St. Lawrence River. Mr. Elephant proved his aquatic prowess by swimming all the way to Cornwall Island! Many were needed in an herculean effort to return the elephant to the mainland. As in most of Canada, sports and recreation, particularly hockey, were highly popular, but uniquely, so was lacrosse. Cornwall had its own lacrosse stick manufacturer, recorded in the photographic collection. Also recorded are the many softball and baseball teams, regattas, and motorcar racing at the speedway, which opened in 1969. Other sports included an archery team in the 1990’s, female and male body building, and last but far from least, the “International Seaway Bathtub Derby” that took place on the canal in the 1970s. 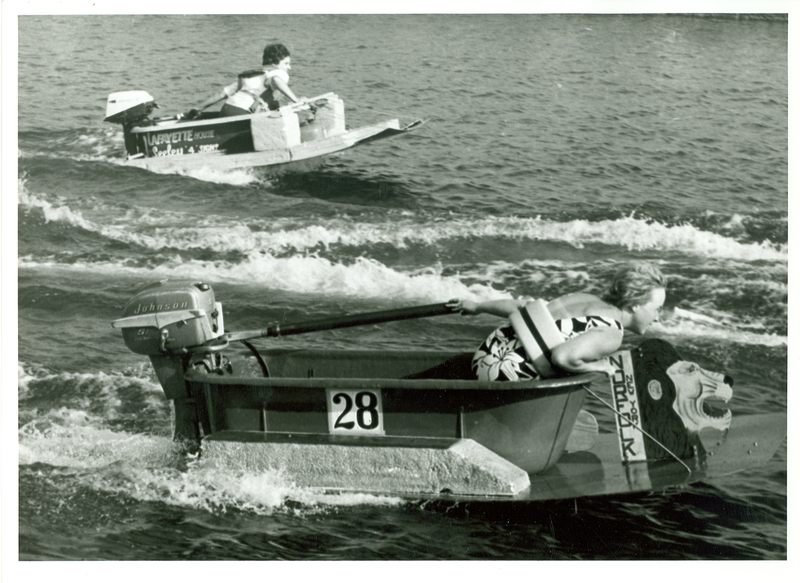 The International Seaway Bathtub Derby was a week-long series of races that took place in the canal during the 1970s. Bowling was another popular past time in Cornwall. The 10 pin Bowling Palace, now closed, had three exterior bowling pins on the side of the building to attract customers. Each pin mounted on the front was more than 9 metres tall and weighed 4,000 pounds! The present Seaway International Bridge, spanning 1,624.8 metres (5,330 ft.) was built in 1962, and is scheduled for replacement by a low level one (construction began in 2011). The first bridge across the St. Lawrence River, a much smaller version, was built in 1898. On September 6, 1898, the first bridge collapsed while under construction, claiming 15 lives. The swing bridge that was built in its place fell on June 23, 1908, when the drawbridge wheel slipped into the river on the Cornwall side. The massive wheel lies barely beneath the surface, and can still be seen today from the bicycle path along the river’s bank. In 1908, pier nine collapsed from the pressure of water rushing out of a break in the Cornwall Canal, causing the swing bridge to give-way, and the wheel to slide into the St. Lawrence River. More information on the people, places and events that shaped Cornwall is waiting for you at the museum. 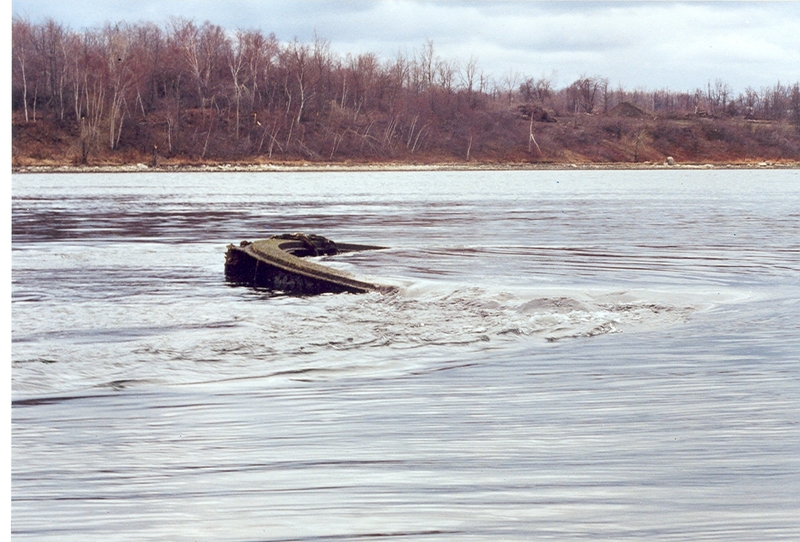 Discover the history of the St. Lawrence Seaway. Research Cornwall’s industries such as Cortaulds, Flack and Van Arsdale, Chalet Glass, Beach Furniture. 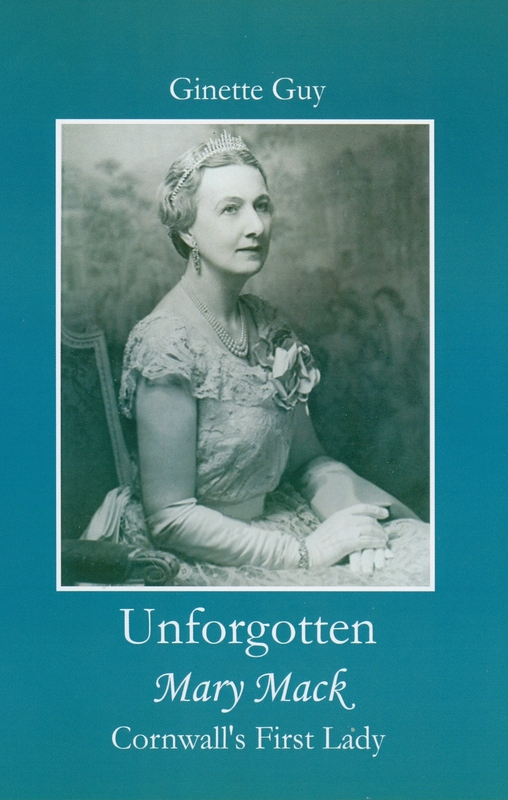 Look into the lives of famous people such as Lionel Chevrier (Mr. Seaway), Premier John Sandfield Macdonald and Sir John Johnson, or into your own family history. Find out about the earthquake that shook Cornwall and more! Our staff is always pleased to assist. 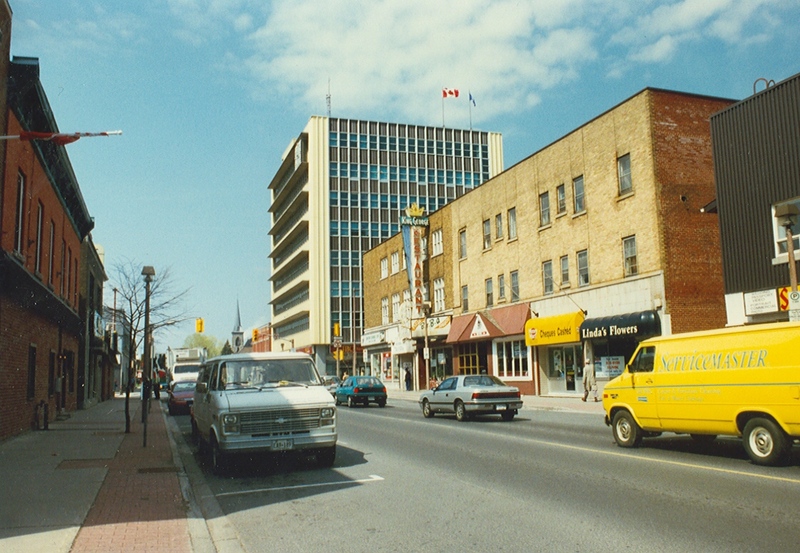 Come and join our exploration of Cornwall and Eastern Ontario’s past! Always loved Cornwall. Still try to visit when we go back to New York. We plant to visit the museum that I knew about, and possibly walked past for 20 plus years.